Like any other crafty person if I need something for a project I head to the craft store. I imagine a sculptor who does installations would head to the junkyard, or one who carves marble to a quarry. Like the 1960’s Hungarian joke stated “Shoe from the shoe-store”, right? Well, the other day I set foot in a tobacco shop to buy a lighter and was I in for a surprise! I don’t smoke. In fact, my friends will tell you that I am a walking anti-smoking propaganda. Therefore, I have no idea what is specifically sold in a tobacco shop. I went in because I wanted to buy a lighter for our candles at home. 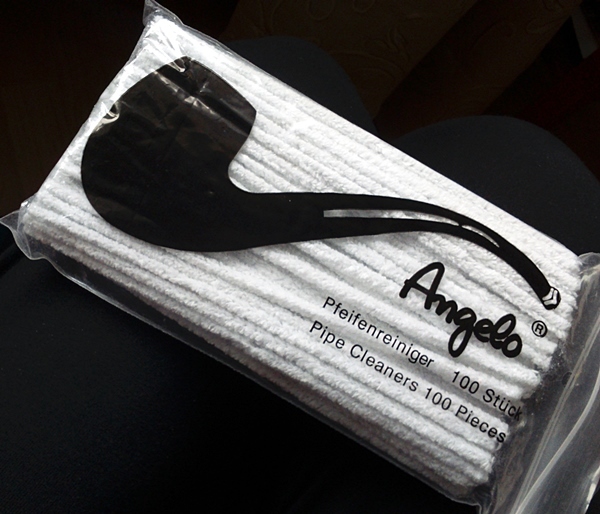 So when I spotted a little bag with the figure of a pipe on it that read pipe cleaner I had an aha moment. Suddenly the scrambling puzzle pieces snapped together and I realized that pipe + cleaner = something you clean the (object) pipe with. That it is not in fact a fantasy word used for a craft item. The first thing that struck me was the price. 100 pieces of the cleaner costs a bit less than 10 pieces of the craft store ones. And if you are wondering, the 0-s are correct here, there is no spelling error! 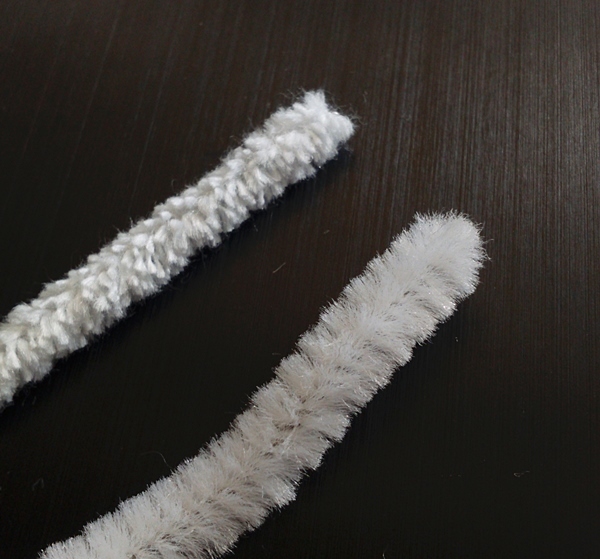 The pipe cleaner (left) is made from cotton. 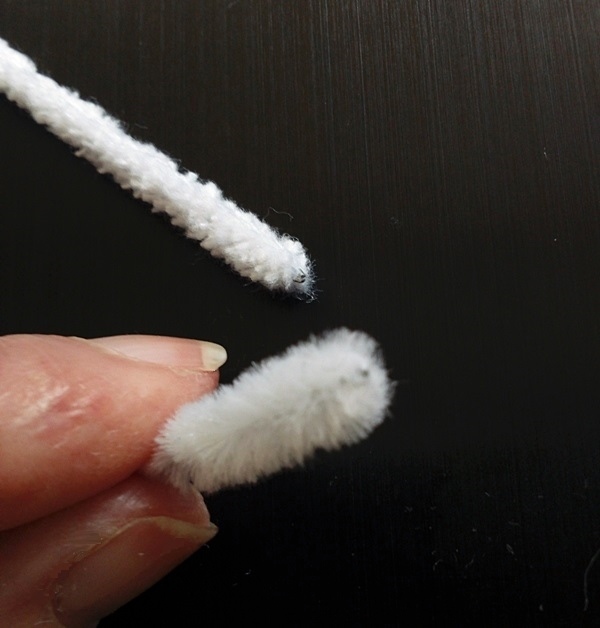 It is dense yet fluffy, and silky to the touch. The craft store version (right) is made from polyester. It is bulky, thick and you can distinctly see how the fibers have been attached to the wire, how they twist around. The wire itself is quite visible in the craft store version, especially when it is twisted around itself. When cut the fibers would fall off leaving the end of the wire exposed. 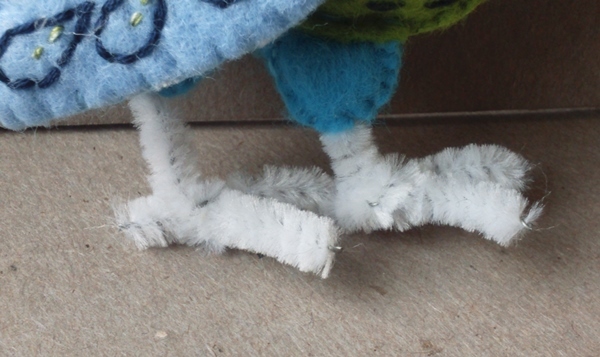 Or even worst, the finished item would start fraying later, leaving the bare wire for all to see. Quite frustrating when you spent so much time working on a project in the first place. So lesson’s learned! I need to walk with my eyes open and keep an open mind. Even if I think something is obvious I need to step back and rethink things one more time. And maybe, just maybe not be so hard on myself. Because if I google the expression pipe cleaner all you will see are the colorful crafty versions, and not a pipe in sight. Which – honestly speaking – makes my heart quite joyful and happy.